"What if?" is a tried-and-true starting point for a novelist. 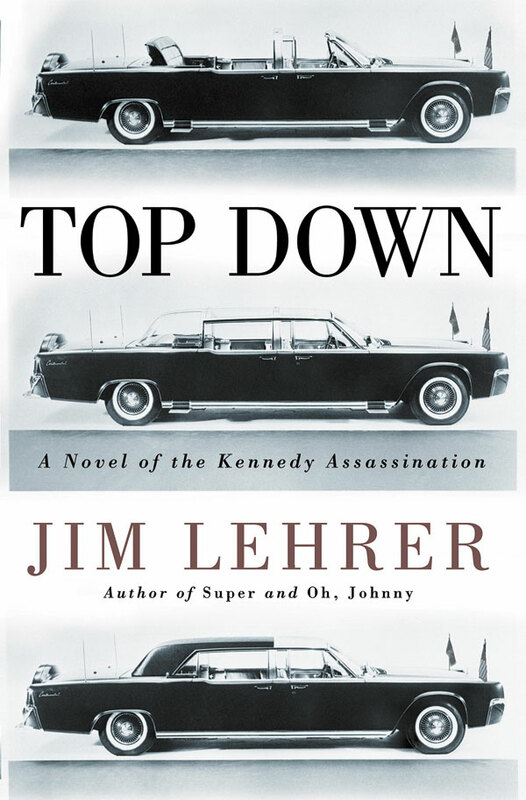 In the case of "Top Down," PBS newsman and veteran fiction writer Jim Lehrer asks an intriguing question but doesn't quite come up with an equally intriguing answer. “What if?” is a tried-and-true starting point for a novelist. In the case of “Top Down,” PBS newsman and veteran fiction writer Jim Lehrer asks an intriguing question but doesn’t quite come up with an equally intriguing answer. What if the Secret Service agent who decided not to equip the presidential limousine with its bubble top ended up blaming himself for John F. Kennedy’s assassination? Lehrer comes to the question naturally because, on Nov. 22, 1963, he was a young Dallas newspaper reporter covering the president’s visit. In fact, he asked about the Plexiglas covering as the security detail prepared for the day’s events. In Lehrer’s 21st novel, Dallas newspaper reporter Jack Gilmore looks back at the events of that awful day from the standpoint of five years. It’s 1968, and college student Marti Walters enlists Gilmore to help save her father from the depression that’s killing him. He’s been tortured by the belief that the Plexiglas covering he decided not to install would have deflected Lee Harvey Oswald’s bullets. Gilmore is moved less by the idea of saving agent Walters from himself — or by the possibility of romance with Marti — than the prospect of a sweet exclusive for the newspaper. He agrees to keep the whole episode off the record in order to participate, but can he keep such a promise? It’s a promising plot, especially as a cultural take on the event that rocked the country a half-century ago. Yet Lehrer is slow to get it off the ground — recording the Walters family’s reaction to the assassination is not at all compelling — and the payoff is thin. A bigger point about America then and now, how we deal with honor, or even the “what if’s” in our own lives is too understated if not absent. Two years ago, Stephen King turned his own “what if” on the Kennedy assassination into a doorstop of a best-seller, “11/22/63.” Under 200 pages, Lehrer’s novel is a quarter the size of King’s — and far lighter in all the ways that count.